Cruising boats worldwide use Taylors paraffin galley cookers. Rugged, reliable and easy to maintain, these classic stoves work on the Primus pressure system and have many advantages. Having no gas aboard is an obvious safety benefit and paraffin is available almost anywhere. But the great thing about Taylors stoves is the whole cooking experience. The cast iron top acts as a mini-Aga, so you can have a very hot side of the range for boiling a kettle, fast cooking or reducing sauces, and a warm side for simmering. On the slow plate ours produces a mean Ossobuco and a perfect Cotriade – a succulent Breton fish stew. In chilly weather you can leave a Taylors hissing gently all evening, warming the boat in a cosy, comforting way. Our Taylors cooker aboard Stormalong has been refurbished twice and has given superb service. 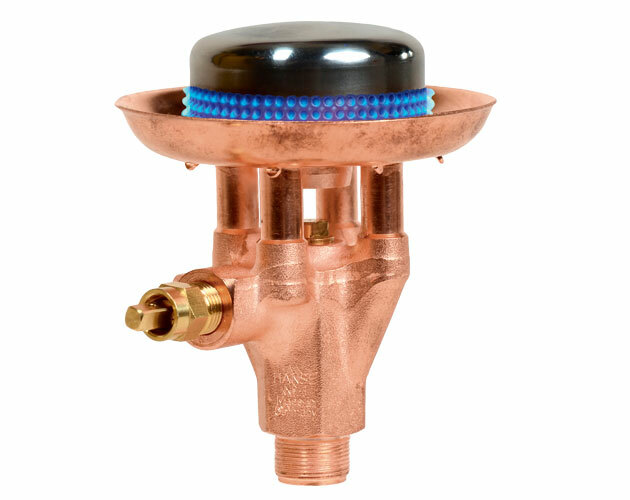 Recently an inferior design of replacement burner proved difficult to light and use, but I’m delighted that the manufacturers, Sea Sure of Warsash, in collaboration with a German engineering company, are now selling beautifully made bronze self-pricking burners that work even better than the excellent original design. We have just installed and tested two new burners (part code CTK1035P4GER) and they are first-class – easy to light, smooth running and with faster heat output than any previous burner.